The Creative Textile Group meets on alternate Monday afternoons. Over the past year the members have been involved with various crafts including: knitting, crocheting, embroidery…both hand and machine, patchwork and quilting, and needle felting. We occasionally set challenges for the group to undertake or try out different techniques in a master class workshop. 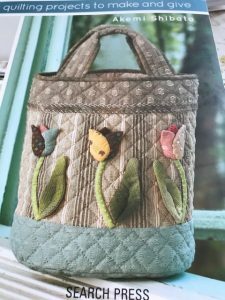 You do not need to be an expert in any particular craft or technique; we are a very friendly group and are always willing to help each other. We do not undertake group tasks; rather we choose our own project according to our skills. We often “bounce” ideas off each other. 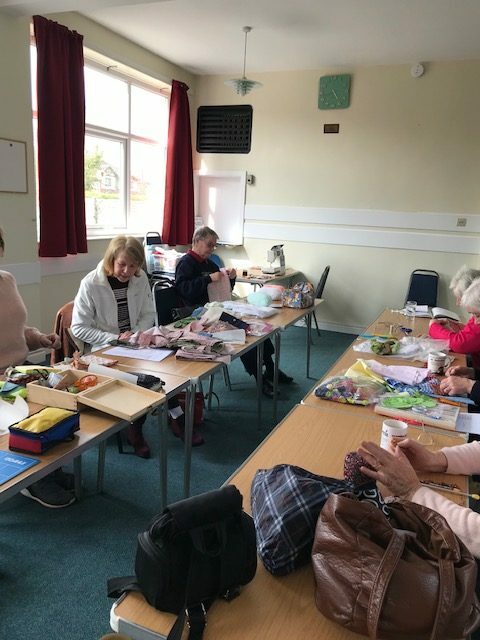 The group share their expertise, passion and enthusiasm for textiles through their work and our continual discussions during our 2 hour sessions. If you have an interest in crafting why not join us. Our aim is to learn and share new skills, whilst enjoying lots of chatter plus time for tea and biscuits! There’s a lot going on in the Creative textiles group. Two members went to the Uttoxeter Quilt show last Friday and came back with lots of ideas, inspiration and loads of fabric! Five members of the group are working on a quilted bag, the knitters are knitting, one member is now learning how to crochet and the quilters are seriously quilting. We are all having fun and it’s a great way to spend every other Monday afternoon so why not join us.